‘Tis the season for gift giving! In fact, in my home, it’s not just a Christmas gift season – we have a birthday boy in December, too. I’ve always been a big believer in giving educational gifts whenever possible. Whether we’re celebrating birthdays, placing gifts under the Christmas tree, or even filling Easter baskets, I try to include at least one educational game or toy. They’re usually my gift of choice for other children, too! 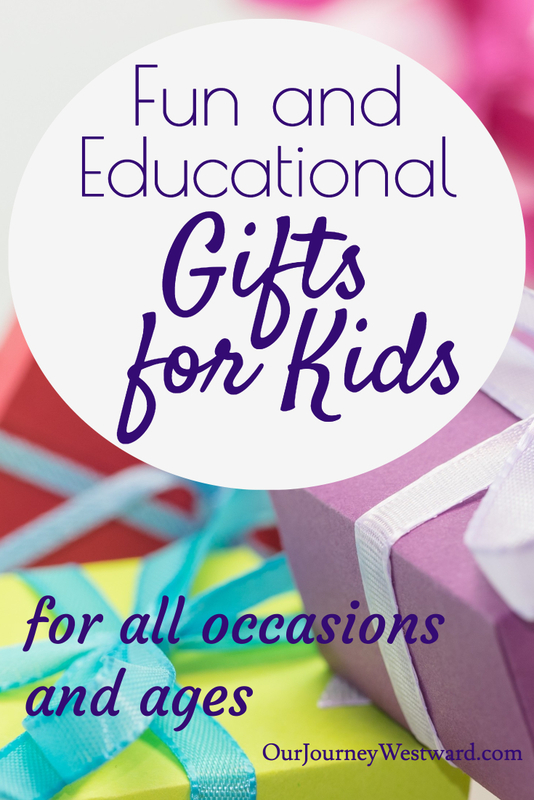 Educational gifts don’t have to equal boring gifts! If I told my children I was on a quest to find educational gifts for them, I can only imagine the looks of sheer horror on their faces. Truth be told – I’ve never once mentioned the fact that any gifts are educational and they’ve never noticed – because educational can also be super fun! Over the years, I’ve written several posts of fun and educational gifts lists that highlight tried and true favorites. I find myself constantly reviewing the ideas as each new gift giving celebration rolls around, so I thought it was high time to pull all those posts together into one resource. I’m thinking you might appreciate having a go-to list, too. As I add new gift lists to my website, I’ll be sure to link them within this post. 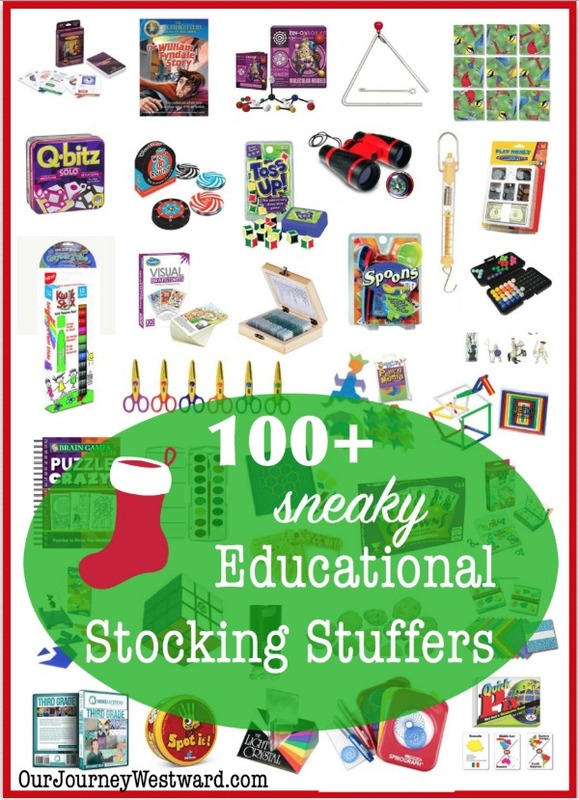 Sneaky Educational Stocking Stuffers includes more than 100+ ideas for small and inexpensive gifts perfect for filling stockings – or Easter baskets. 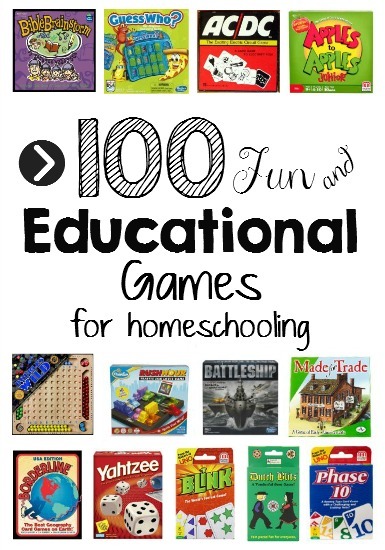 100+ Educational Board and Card Games is organized by subjects to help you pinpoint fun ways to practice or strengthen certain skills. 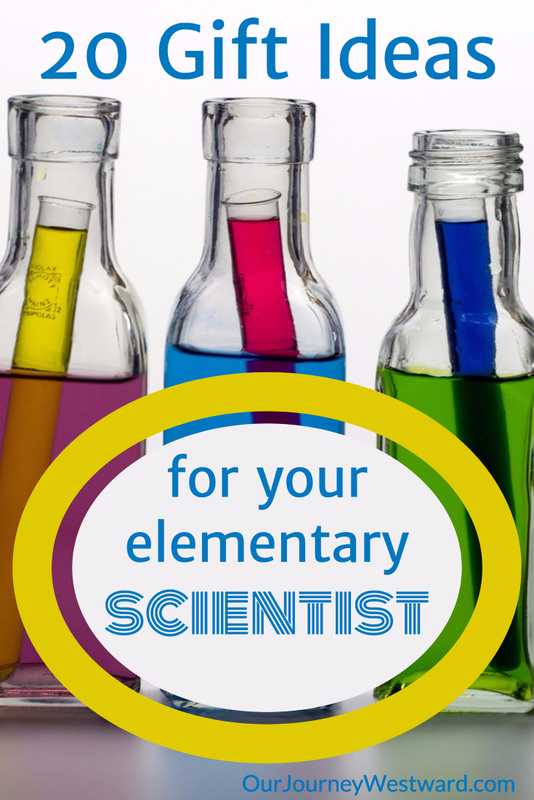 Elementary Science Gifts includes several ideas for toys and kits and encourage scientific exploration and provide a good deal of basic scientific knowledge easily. 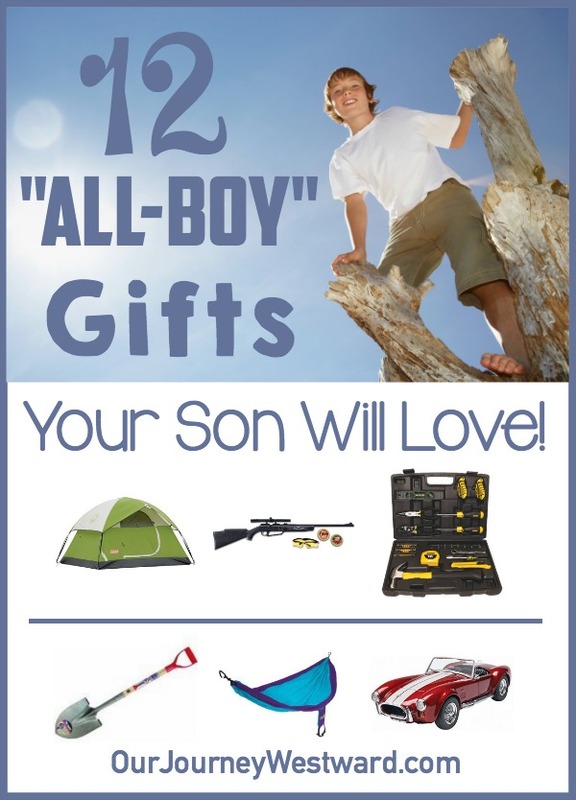 All-Boy Gifts is perfect for those active boys who love to be outside. 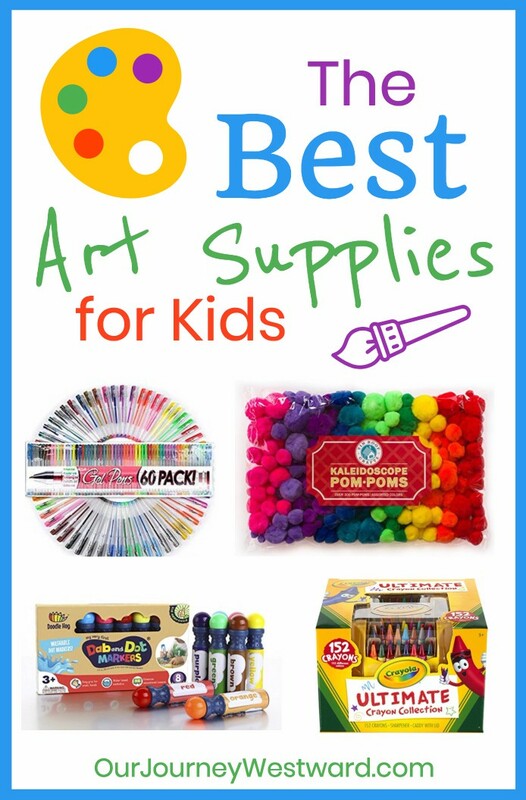 The Best Art Supplies for Kids is full of the most-used materials that have graced our art shelves for years and years. 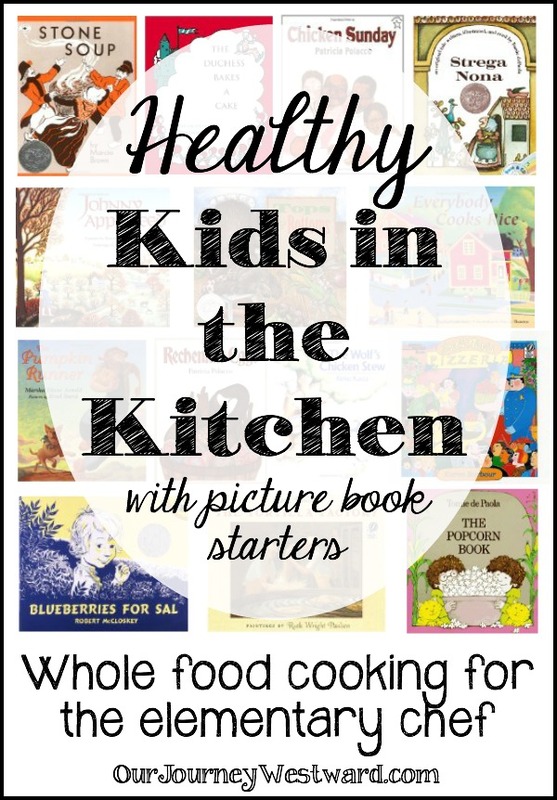 Kids in the Kitchen not only shares several unique gift ideas for your child who likes to cook, but literature-based lessons for healthy kid-friendly recipes, too. 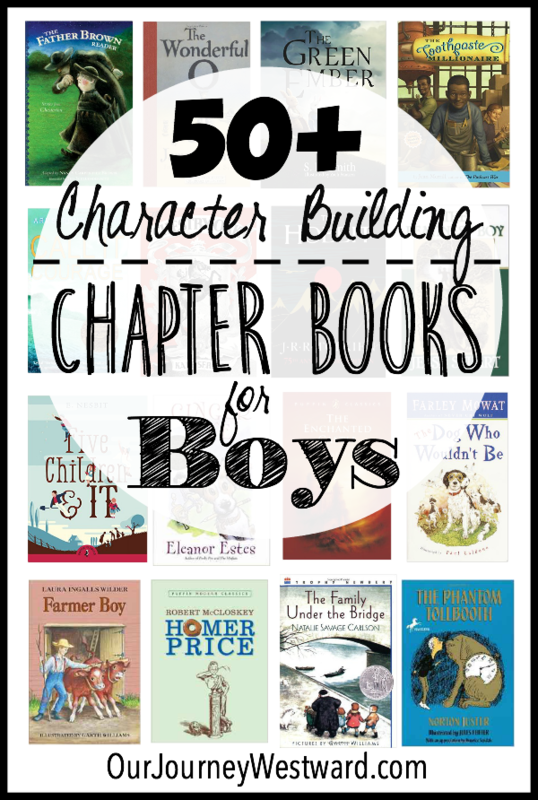 50+ Character Building Chapter Books was written specifically as a list of books that will appeal to boys, but my daughter has enjoyed many, many from this list, too. If your family enjoys reading aloud together, books make great family gifts, too. 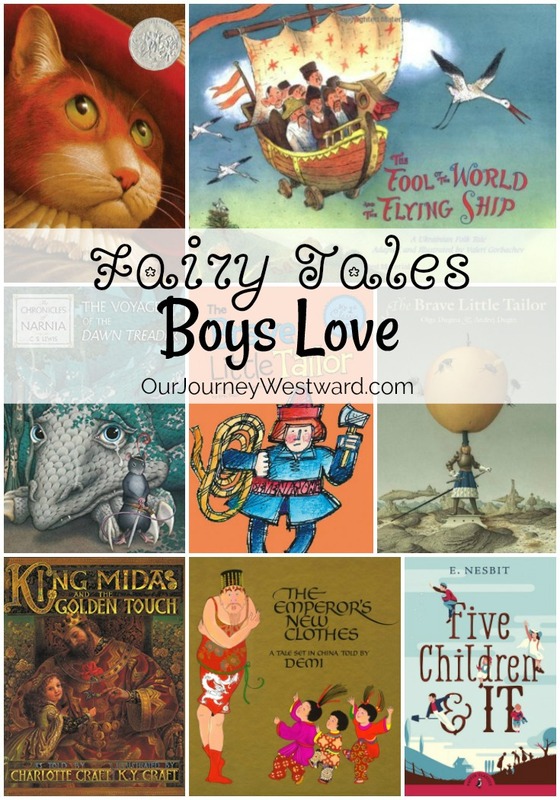 Fairy Tales Boys Love is a list of books that have strong male characters that appeal to boys and girls alike. 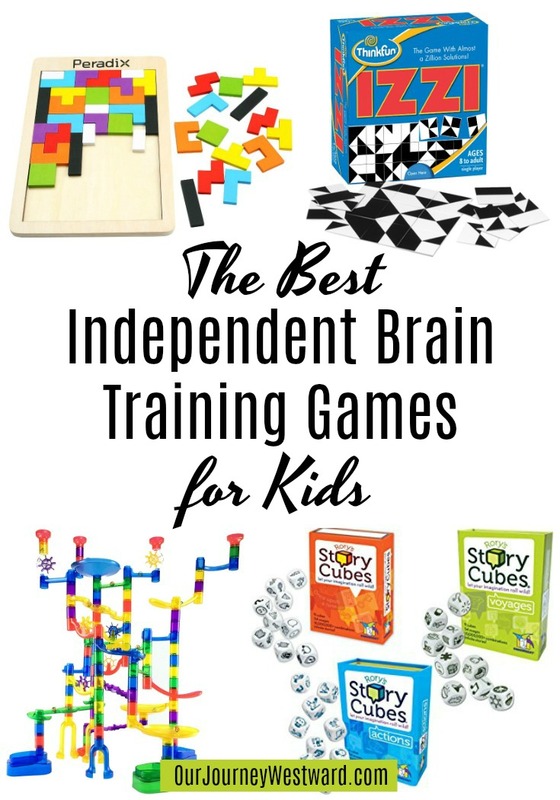 Independent Brain Training Games are perfect for children of all skill levels. As a bonus, the games can be used without any other players – perfect to keep kids busy while momma is busy teaching other children. 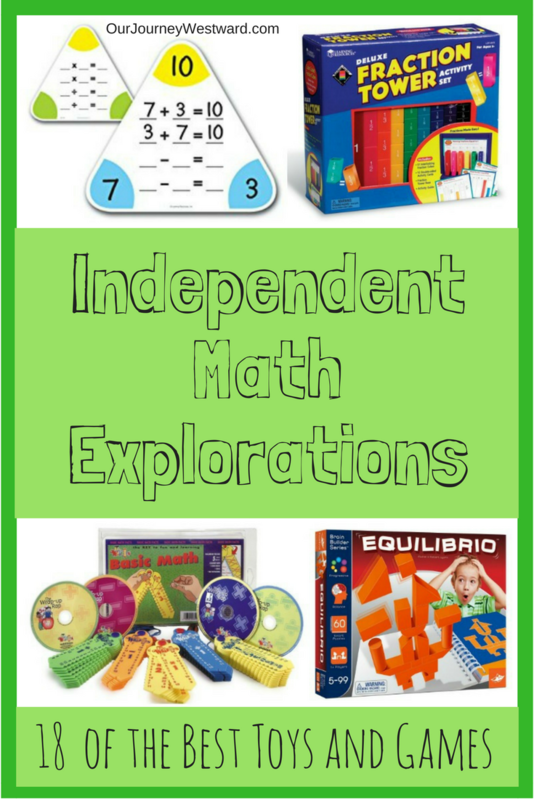 Independent Math Exploration Toys and Games are the perfect addition to any elementary homeschool. Preschoolers can even use some of these. 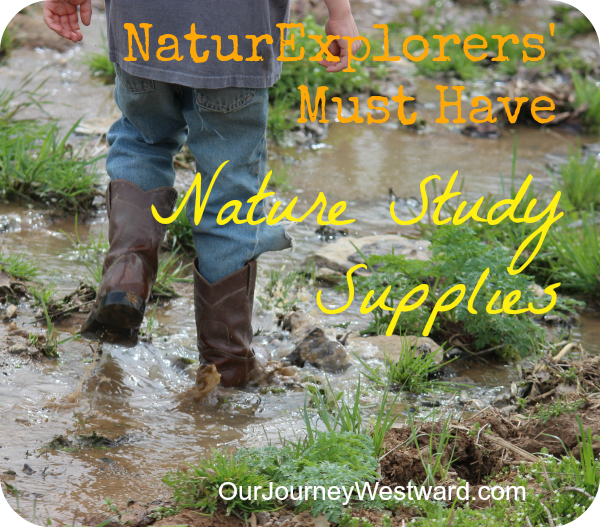 Must-Have Nature Study Supplies offers some fun and practical ideas for the nature lover in your home. 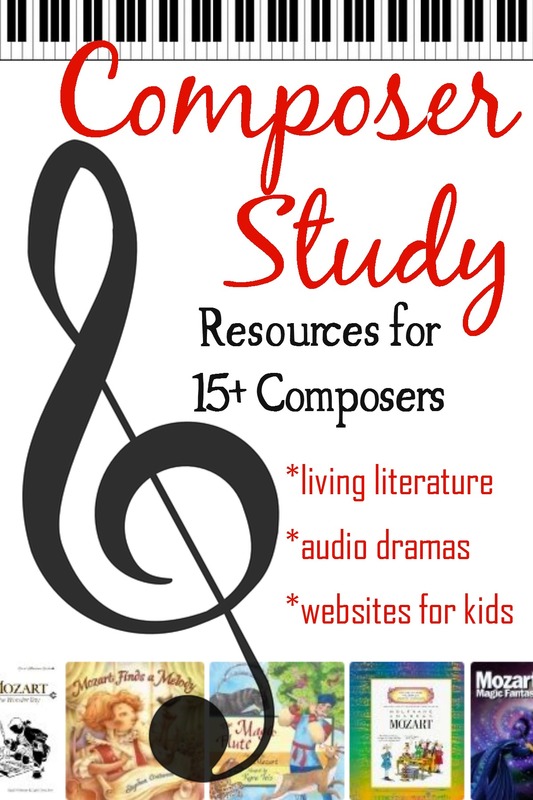 In Composer Study Resources, the suggestions for audio dramas are especially good for gift giving. 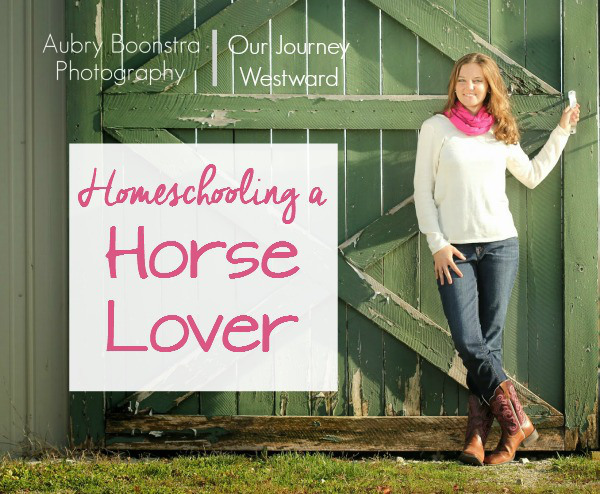 In Homeschooling a Horse Lover, you’ll find non-fiction and fiction book suggestions that are perfect for horse loving girls. Six of Our Very Favorite Picture Book Authors offers book suggestions that are almost no-fail for the younger children in your life. 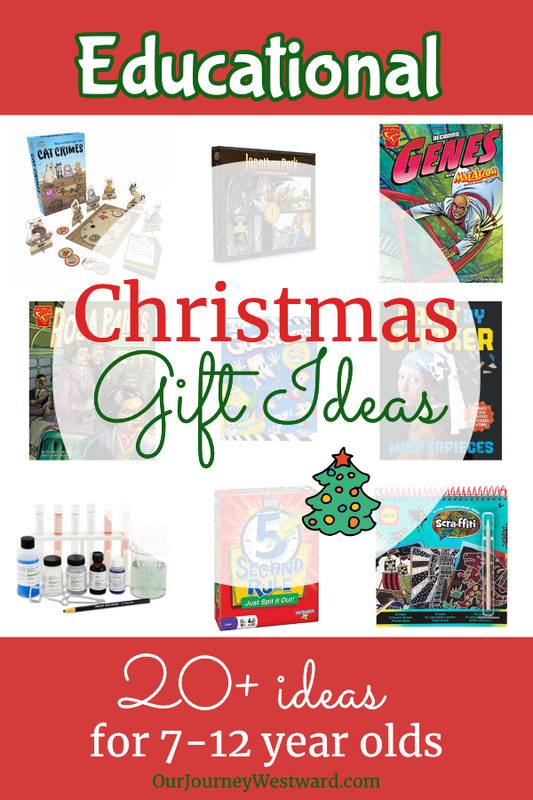 20+ Educational Christmas Gift Ideas includes ideas perfect for 7-12 year-old children. Speaking of good books, I have lists and lists of good books for a large variety of topics. If you have a Civil War buff, I’ve got a booklist for you. If you have a dinosaur fan, I’ve got you covered. 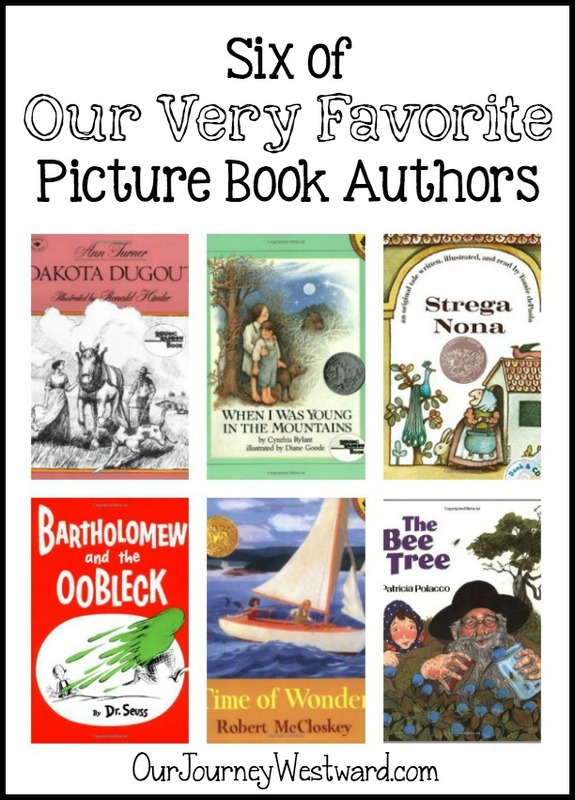 Take a peek at my living literature page to see if there’s a topic that your children will love.